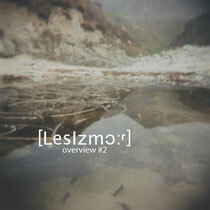 Lessizmore continue their globetrotting revelry with a diverse selection of songs from some of their nearest and dearest regulars. Dance floor shenanigans abound with contributions from Tolga Fidan and DeWalta encapsulating the shuffling psychedelic house experiments which figure so highly at Lessizmore events. French pranksters DOP turn in a slice of classic American road story set to a narcotic conga jam.